Is it time to replace your clunky old garage door opener? If your garage door opener is old, noisy, or lacks certain safety features that modern garage door openers possess, consider replacing it with the Elite Series 8550W. Keep reading to learn why this opener is the most highly rated in LiftMaster's lineup. Belt-drive operators are highly powerful but ultra quiet. If you have living space adjacent to your garage, belt-drive operators will be the least disturbing as you eat, sleep, work, and play. This type of opener has a DC motor, which is quieter than an AC motor because it has “soft starts and stops.” It will gradually increase speed as it gets going and then gradually slow to a stop again as the door opens or closes. This results in smoother movement, less noise, and less shaking. The 8550W opener is, in fact, the quietest in the LiftMaster lineup. Easily connect your opener to the internet using the built in Wi-Fi feature. Install the MyQ app on your smart phone or other mobile device so you can check the security of your home while you’re away and open or close your garage door remotely as needed. You’ll receive real-time alerts on the app or via email notifying you of your garage door’s current status. This operator comes equipped with several security features and connection capabilities. Program your door to close at a certain time with the Time-to-Close feature. The Protector System sends an invisible beam of light across the base of your open garage door to sense if any obstructions are in its path. The door will auto-reverse if anything is in the way. PosiLock prevents your door from being opened by force from the outside to keep intruders out. The Motion Detector senses movement and lights up your garage so you can see when it’s dark. Every time you use you open your garage door, Security+ 2.0 changes the code to prevent the code from being picked up by a stranger. For an additional layer of security, add the virtually impenetrable Automatic Garage Door Lock. If you lose electricity, you won’t have to worry about your car getting trapped inside your garage (or you getting stuck outside). The battery backup system on your Wi-Fi opener will kick in to give you access to your garage. The 8550W opener comes with a lifetime motor and belt, 5-year parts, and 1-year battery and accessories warranty. If you’re interested in the 8550W or another LiftMaster opener and you live in the Des Moines area, contact WD Door for service! 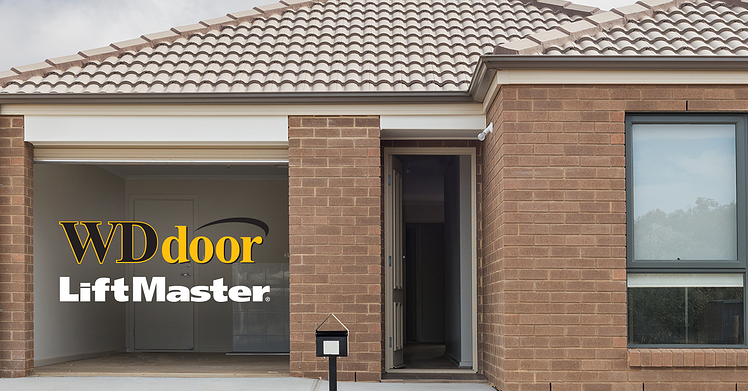 LiftMaster garage door openers should be purchased through a dealer and installed professionally. Incorrect installation can result in shortened lifespan, damage to your garage door system, and subpar performance. We can install your garage door opener for you properly so it can work smoothly for you for many years to come.